Saturday morning of Memorial Day weekend means the traditional Morris Plains parade marches up Route 202. A contingent of dog park attendees with their dogs walked as part of this parade. Scraps and Rags prefer to watch the parade curbside instead of walking, but when the dog park crew came past us we all remembered how lucky we were to have the new dog park located just up the road from the parade site and close to home. 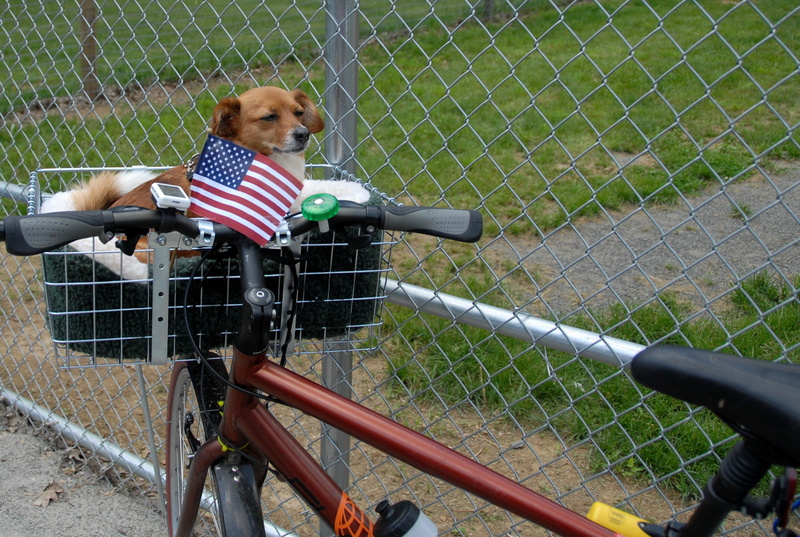 After the parade, Scraps and Rags headed to the dog park on the bicycles to have a little post parade fun. Rags is enjoying her new ride, a front-mounted Wald bicycle basket and dog bed, which we just installed the previous night for Morristown’s critical mass bike ride. The basket lets Rags ride in front of the handle bars, enjoy the wind and the view, and feels nicely secure for her 13 pound body. We spent time in the small dog park and with the nice weather and the holiday weekend, we had a nice group of small one in the park. Eventually a Shiba Inu dog club arrived with 4 or five of those Japanese dogs, so that was different. 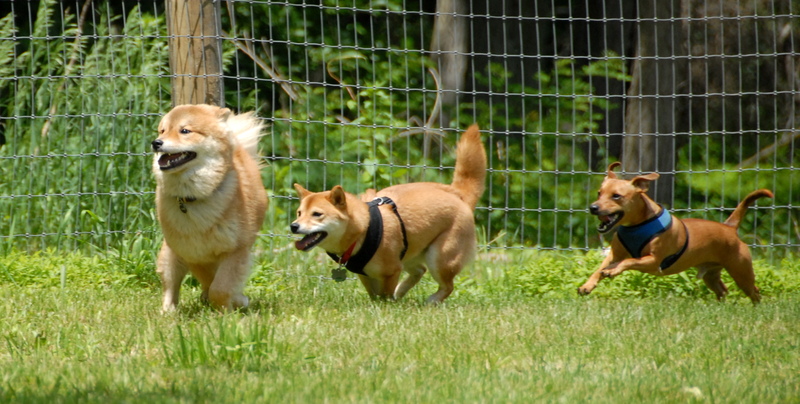 I heard some one call one of them Suki, so let’s welcome Suki and all the other Shiba Inus to the dog park blog. This entry was posted in CentralDogPark, Photo, SmugMug and tagged ?-Dog, Bailey, Cruz, GracieWhite, Rags, Scraps, Sebastian, Suki. Bookmark the permalink.